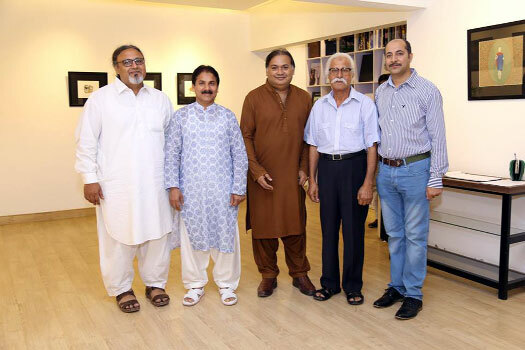 The 18th Meeting of Karachi Editors Club (KEC) held during the week. Shaukat Mahmood EVP/Group Head, National Bank of Pakistan was the chief guest on this occasion. Mubasher Mir, President KEC highlighted the performance of KEC. Mukhtar Aqil, Vice President KEC thanked to all for their all-out support to KEC. Syed Ibne Hasan briefed the worthy profile of the chief guest in brief. 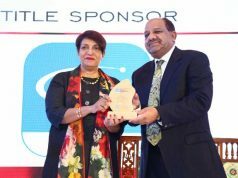 He informed the audience that Shaukat Mahmood is serving the National Bank of Pakistan for the last 25 years. He has served in important position in Japan for more than seven years and also remained on key positions in Pakistan and now he is EVP and heading 4 important departments including Services Quality, Media & Brand Management. 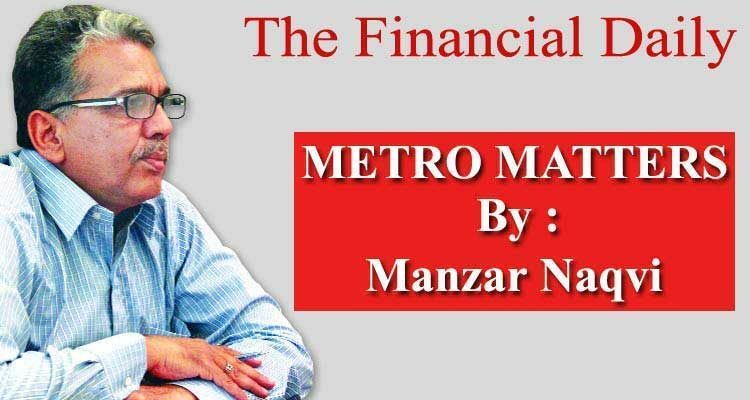 Shaukat Mahmood in his address to editors said that the people should take benefit from the ‘start-up loans programme’ of the NBP in which loans are being offered at the lowest mark-up of just 6 percent. He said that up to Rs 2 million loan is being offered to each borrower under this loan programme that targets expansion of the start-up and existing small businesses throughout Pakistan. He said any person interested in starting a small business or already doing business and wants to expand it with NBP’s lowest mark-up loans scheme, can take benefit from it. 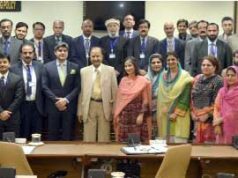 Mahmood also pointed out that President of the National Bank of Pakistan Saeed Ahmad has directed the bank to change the ambiance of the branches of the bank along with the culture of facilitation of the customers. He said that now one of the key targets of NBP is to improve the infrastructure, look of the branches, environment, customers’ facilitation and performance of the employees. Ms Rizwan Khan, Ex-Principal Information Officer and DG Press Information Department informed about cheating and mis-commitment of Bahria Town. She shared her experience that she had not found any accommodation even after full payment of booked villa without any delay. She is suffering for the last 14 years. Artscene Gallery hosted a solo exhibition of miniature paintings titled “Behind the Burqa” by Kausar Iqbal during the reported week. According to the artist, his work is a diatribe on the social behavior of people how one class of people within a society taunt, criticize and look down their nose to another class of people. Sometimes it is done openly, sometime subtly and at times it is behind their backs. He said people are often intimidated by what they have no knowledge of, and the burqa is a piece of clothing which should not warrant fearful reaction. Underneath the burqa are the persons simply trying to practise their religion. It is interesting to note that other forms of dress and appearance are no longer considered intimidating, as they have become accepted by the wider community he added. He said these dynamics become even more complex when one class is oblivious behind a burqa although a loose piece of fabric, the notion of burqa symbolizes rigidity of a patriarchal society where women are forced to follow the whims of their male masters. Finding a solution will be over-simplification, but I think that education can be one deal breaker. The use of calligraphy in my work is a gentle reminder; a visual cue to find a middle and peaceful ground through enlightenment gained from knowledge. On the softer side of this whole debate, the burqa itself becomes a conversational piece and its whys and how disappear among the social chatter. The Pakistan Bonsai Society had “Bonsai Workshop 2018” at the Japan Information and Culture Centre of the Consulate General of Japan in Karachi. With more than 800 years of history, Bonsai is a traditional Japanese art of growing artistically shaped miniature trees in the containers. As an art, persons create their own universe in Bonsai not only by unique techniques but with profound observation and insight for the nature. 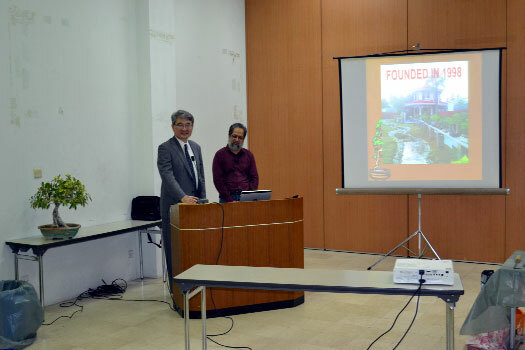 In his speech at the opening of the event, Toshikazu ISOMURA, Consul General of Japan in Karachi, said that the Bonsai Workshop would contribute to better understanding of Japanese culture in Pakistan and enhance further the friendship between Japan and Pakistan. AMTF will struggle more aggressively for collection of Blood Donations prior to Ramazan in order to create handful stock at AMTF Blood Bank in Ramazan, says Ateeq Ur Rehma, Executive Director, AMTF during the reported week. He said, especially in Ramazan we experience paucity of blood hence it is very difficult to meet requirements of our thalassemia children who are always in dire need of blood for their survival. He said he failed to understand that why people hesitate in donating blood in Ramazan. Ateeq said that May 8th is the World Thalassemia Day and we at AMTF are planning to celebrate this day by great enthusiasm and dedication. He said that there is an urgent need to devise plan for overcoming shortage of blood in hospitals and blood banks of the city. 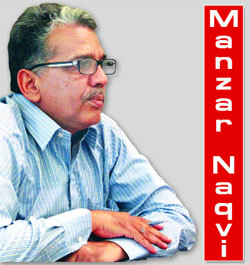 Ateeq has appealed to the people to donate blood for children suffering from thalassemia.